My daughter attends the University of Virginia in Charlottesville. So, every few weeks I drive down to bring her home for the weekend. It’s about a five-hour round trip, but I never mind doing it. I love the landscape–at least once I get past Gainesville. I am sure that it was once a nice little town, but now it’s a hot mess. Strip malls and McMansions everywhere, with more on the way. 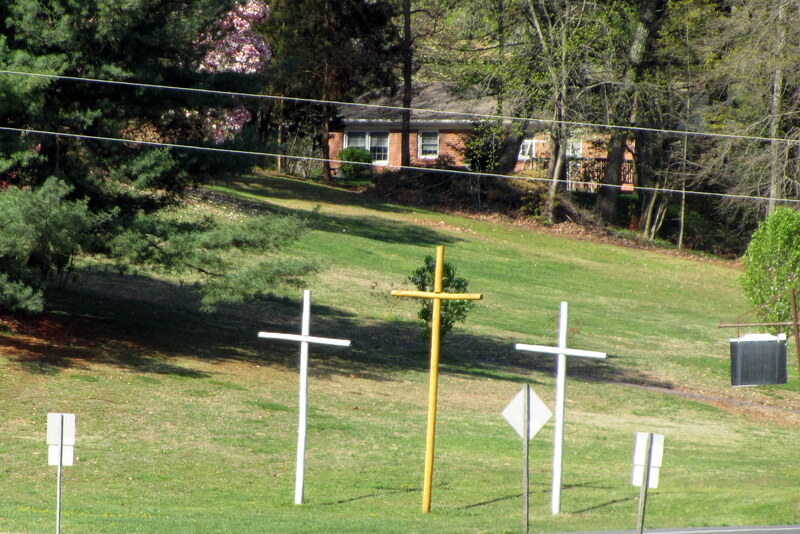 I tried (but failed) to get a shot of this huge sign that you see as soon as you get off I-66 onto 29. Headed “New Homes Available,” it lists about twenty different builders with arrows going in all directions. And they are all total crap. I know that these houses are a dream home for a lot of people, but I just don’t get it. We are house-hunting right now, and I really, truly do have nightmares about waking up and finding I live in one of these: broiling in the middle of a former cow pasture and getting super-excited that Wegmans is coming to the nearest strip mall. But, I digress. As you drive through this circle of hell and emerge on the other side, there are some beautiful vistas overlooking the foothills of the Shenandoah. And a lot of interesting things to see. 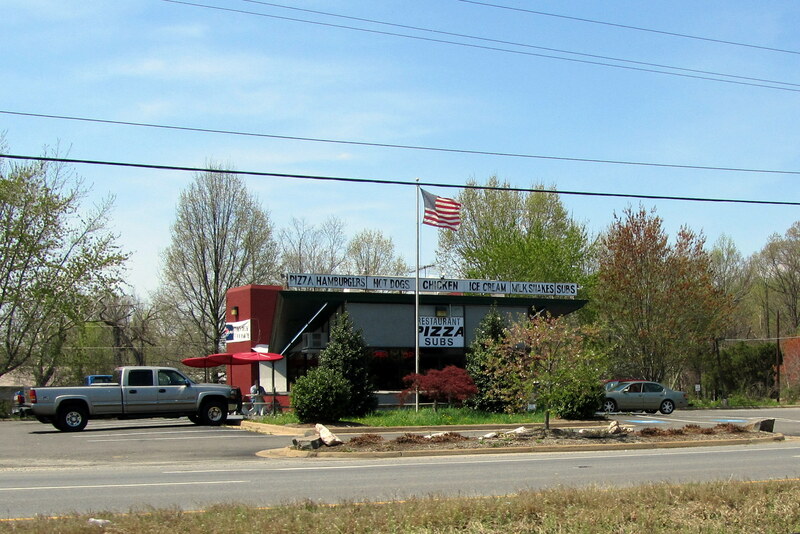 Like a non-chain pizza and ice cream joint! There is a place next door that I think might be a head shop or it could just be some New-Agey thing. It normally has a lot of tie-dyes flapping on a line outside, but today I guess they were meditating or something. Pizza! Hamburgers! Subs! Hot Dogs! Ice Cream! And some of that old-time religion. Scary hay bale creatures–this one changes according to the season. Ghost at Halloween, Santa at Christmas, evil bunny at Easter, and so on. 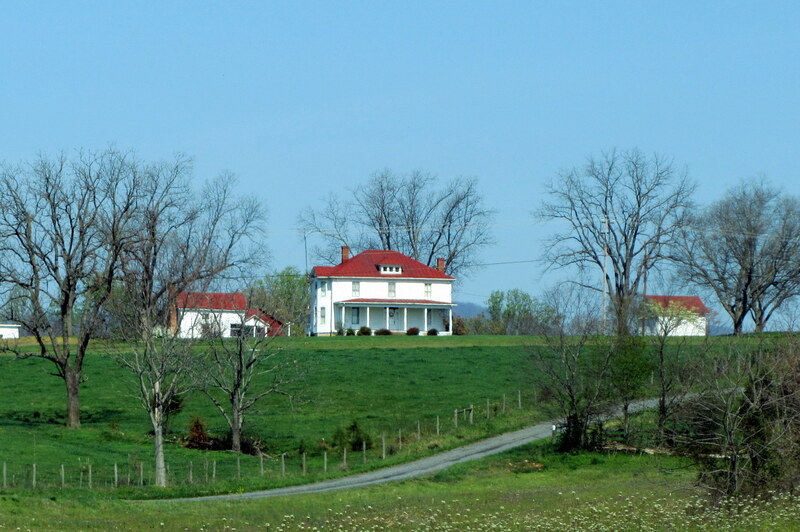 More gorgeous old farms, with views of the Shenandoah as a backdrop. 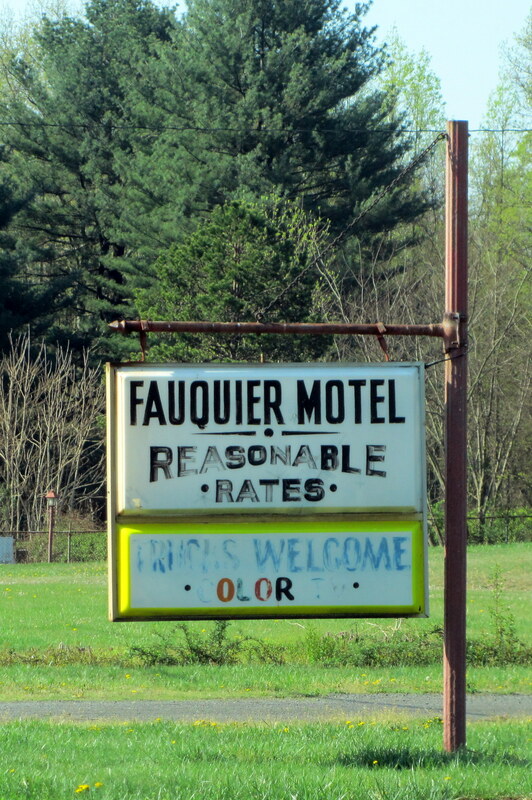 Fauquier Motel. Reasonable Rates. Truckers Welcome. Color TV! 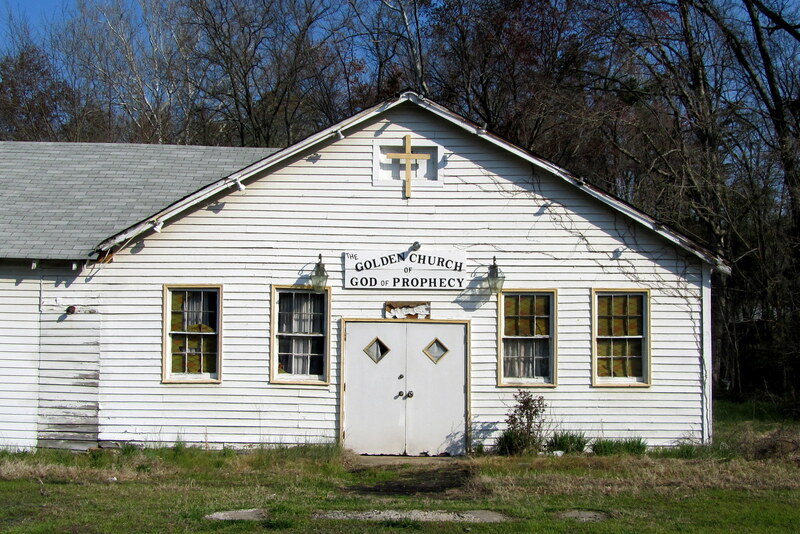 More old-time religion. Now you know you are in the South. Some really cool and very old houses are still visible a little ways back from the main road. Barn and log cabin, complete with a wattle-and-daub chimney. And one more pretty little house and barn, just to wrap things up. What I didn’t take pictures of: several Civil War battlefields. Bull Run, Brandy Station, and Kelly’s Ford just for a start. They are well-preserved, for the most part, but wouldn’t show up well in a roadside photo. 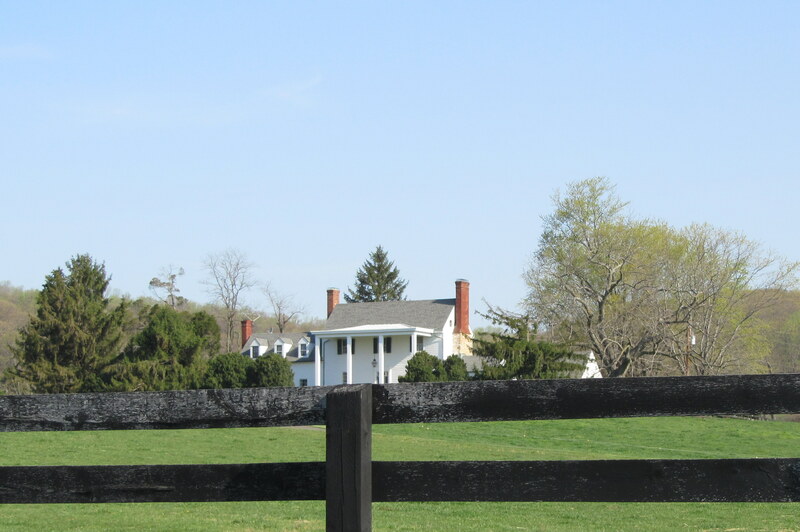 Antique barns, flea markets, and seemingly perpetual yard sales. 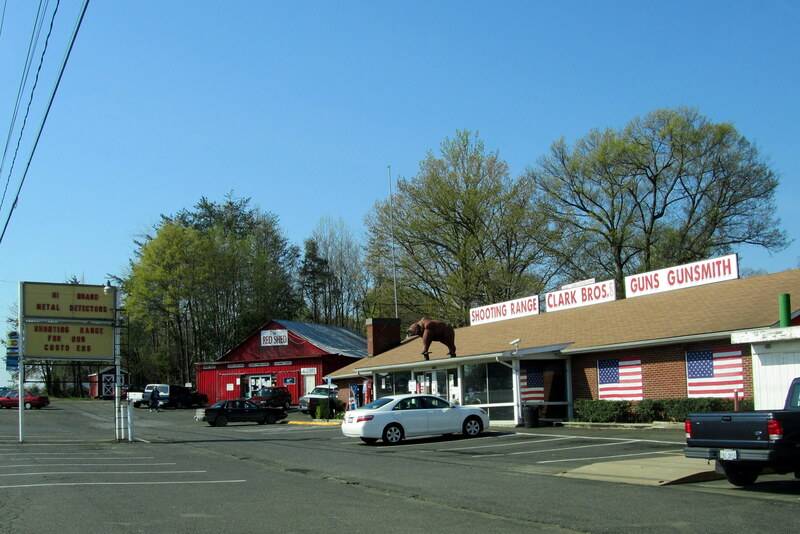 And several roadside produce stands. You see more of those on the weekends, but they are a great place to pick up some yummy fruits and veggies, homemade pies, jams, etc. Now that we are approaching packout, I realize that I have truly adopted Virginia as my home state and will be happy to come back to it! 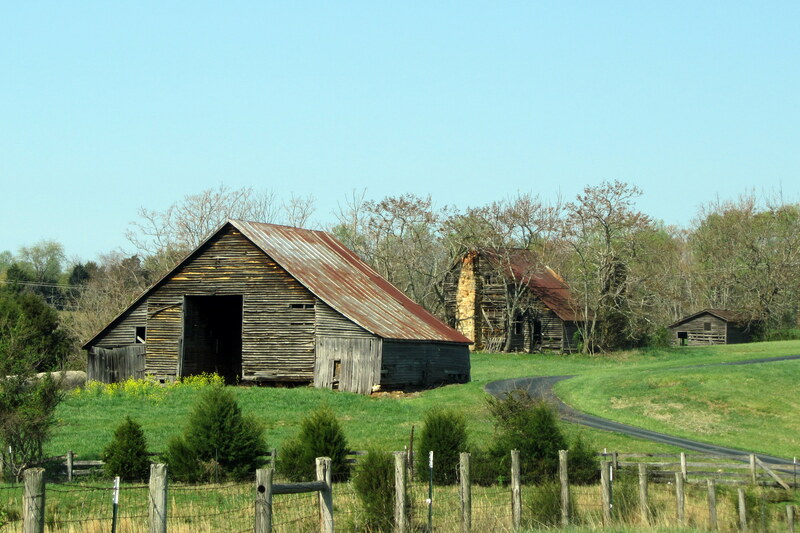 We are definitely getting out in the VA country more this summer…it’s just so gorgeous! I love that you posted this! 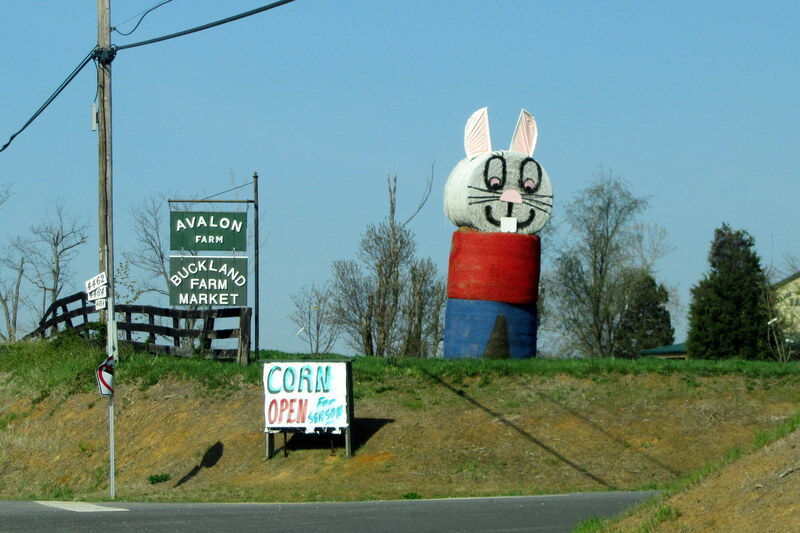 My parents live in Cville and I routinely drive from DC down 29 to get there. These are all very familiar sights that I’ve meant to take pictures of. 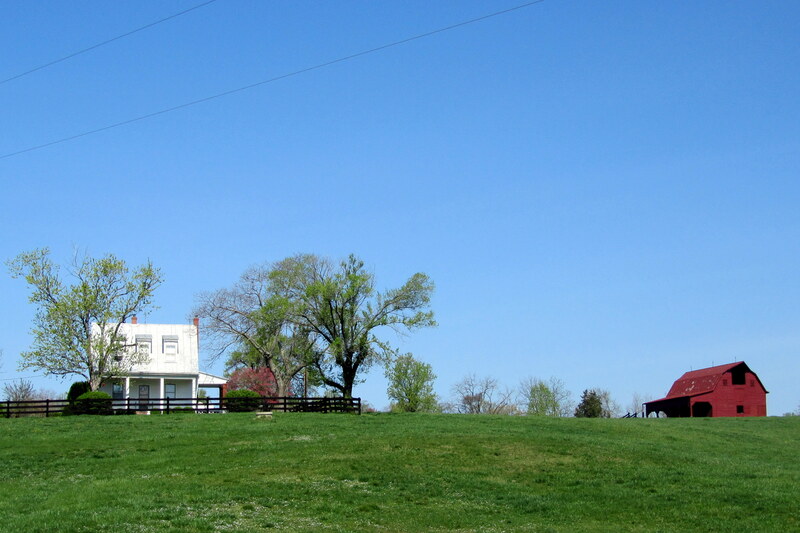 You’re right – the good part doesn’t start until you’re out of Manassas. It’s a gorgeous drive, especially with the windows down! Thanks. For two years I kept meaning to bring a camera along and forgetting. One advantage to leaving a place is that you finally get that stuff done!